The Who, What & Why of CLM? You will find our monthly subscription rate very reasonable. Only $2.50! This small tax-deductible contribution helps Christian Life Magazine take the good news of Jesus Christ to the world! Please make this Pure Gospel Publication your go-to for all things Jesus. Become a Member today! We would like to hear from you! Go to our contact page and submit your testimony today! Letters to the Editor are welcome! Donate Today! Thank you for your continued support! 100% of your purchase goes to help further the Gospel! 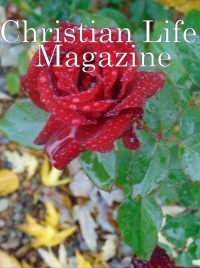 Although secular media will not print the name of Jesus Christian Life Magazine publishes a number of contributing writers who proclaim the gospel, honoring God and His Son Jesus Christ, grace and peace to you! Are you tired of fake news? Are you tired of reading only what the world will publish? Christian Life Magazine is a Pure Gospel Publication and was started so that the truth could be heard for such a time as this.